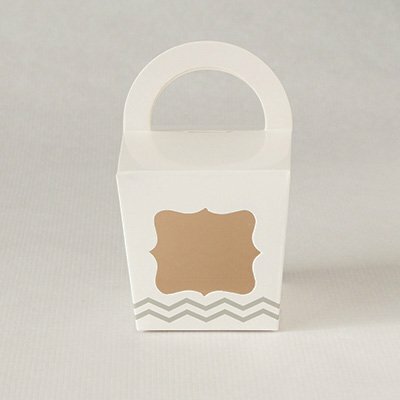 Q:Will the cupcakes slide around or is there some type of holder in the bottom? 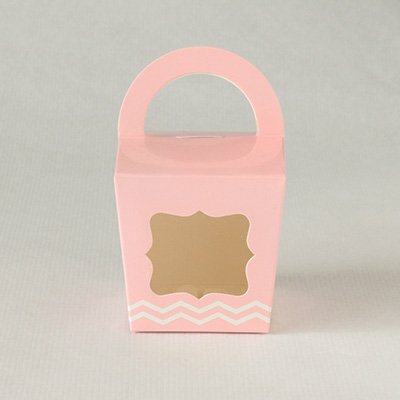 A:The boxes do not come with an insert, but they are made to fit a standard size cupcake and should not slide around within the box. 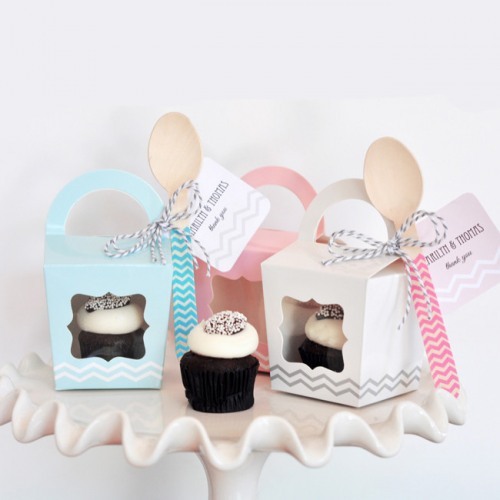 Send guests home with a sweet treat, prettily packaged in this cupcake tote with personalized tag. 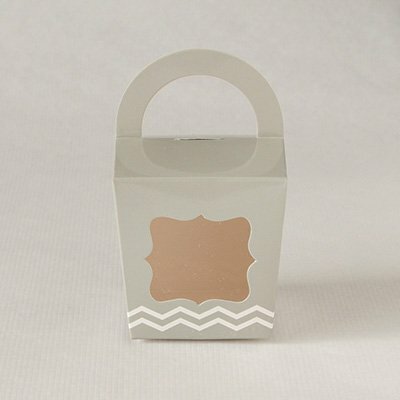 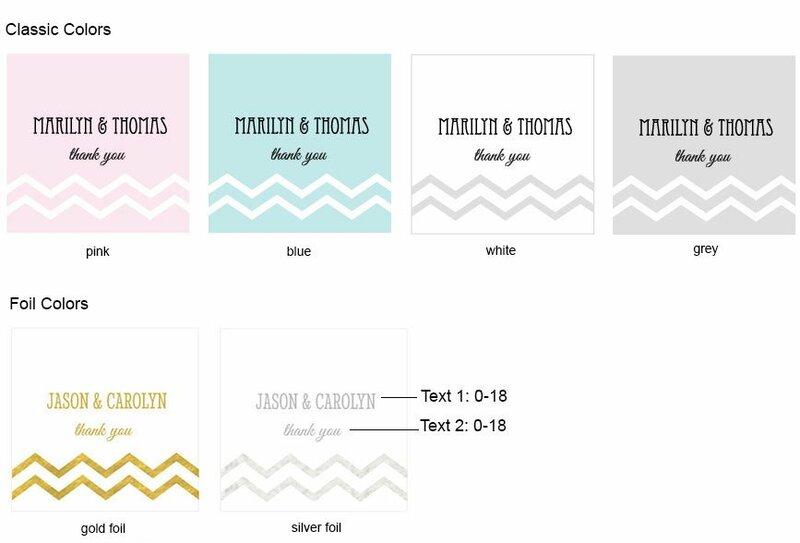 Each glossy chevron printed box has its own handle and a little "window" to show off your goodies and make them easy to carry. 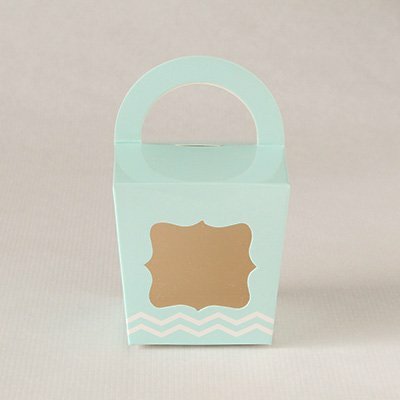 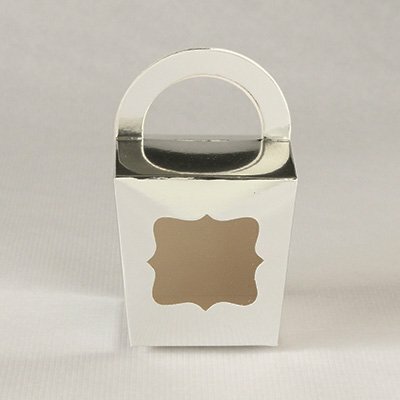 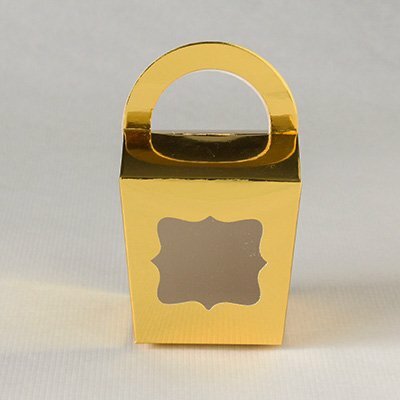 Perfect for storing individual wedding cupcakes, macaroons, cookies, popcorn, the possibilities are endless!